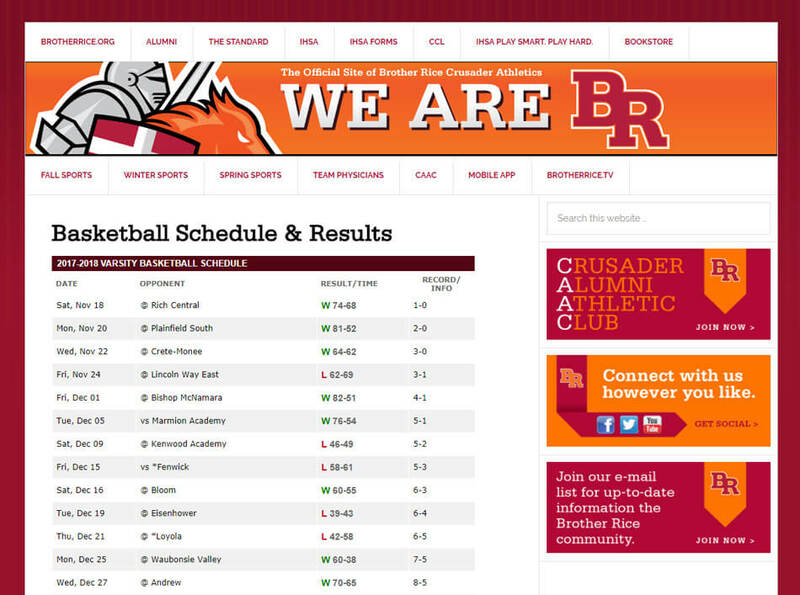 Through our embedded content feature you can power your website with schedules and rosters from our system. Keeping your visitors on your website and up to date. Change the look and feel of your App without new App updates. Change buttons, pages and feature photos on the fly. Display Local Ads From Your School or Booster Program. Allow your boosters to support the school through custom ads on your App. Upload an ad image and link to get started with in-app advertising. Send alerts to to users for scores and games changes with push notifications. Users can subscribe to alerts without special registration required. Report scores with ease through your App. Take the hassle out of getting scores reported from coaches. Send in a score, get notified by email and approve them through your management account. Our system has import functionality for high school sports schedules, game results, team rosters, and event directions making the initial setup a breeze. Scores and schedules to your fans. See what events are happening today along with events in the future directly on your mobile phone. Get results from games completed keeping you up to date no matter where you go. Mobile photo galleries from events. Integrate your photo gallery right in your App. Integrate with many of the major photo hosting systems including SmugMug, Facebook, Google Photos, Flickr and more. Videos highlights of every game. Looking for that great play or highlight video once again? The video section allows you to load your YouTube feed directly into your custom school app. Get the directions to all events. Getting to sporting events are easy when you have the address. The direction section allows you to load all of your team's sporting events making finding the field a breeze. Send the tweets to all your fans. Integrate your school's twitter feed or all of your teams feeds in the App. Load every team's twitter account in one convenient list and we'll show them all to your fans. Bring your Facebook page to all of your fans. Integrate directly with your Facebook page and allow your fans to interact with your posts.